Republican presidential nominee Donald Trump answers a question as Democratic presidential nominee Hillary Clinton listens during the presidential debate at Hofstra University in Hempstead, N.Y., Monday, Sept. 26, 2016. 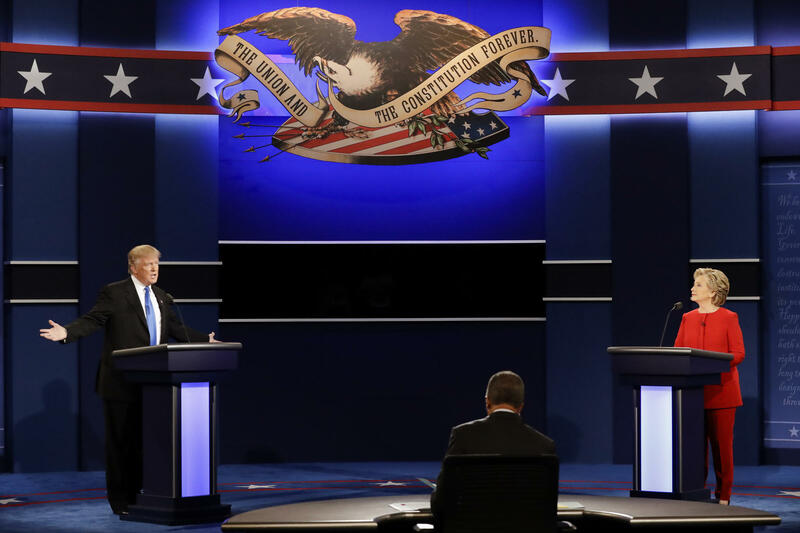 Host Frank Stasio talks with Michael Bitzer, political scientist and provost of Catawba College, about last night’s debate. Host Frank Stasio talks with Michael Bitzer, political scientist and provost of Catawba College, about last night’s debate, the latest in North Carolina political polls, and how recent events in Charlotte may impact the election. Read his blog "Old North State Politics" for more political analysis.